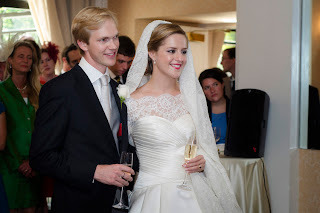 With Luxembourg's next royal wedding lurking just around the corner, it is a good time as any to have another look at the wedding of Archduke Imre of Austria, second child and oldest son of Princess Marie-Astrid of Luxembourg and Archduke Carl-Christian of Austria, and his now wife née Kathleen Elizabeth Walker. 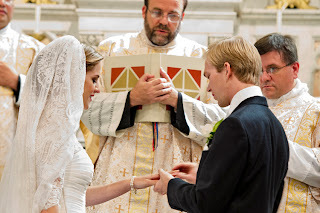 The couple exchanged vows in a Roman Catholic wedding ceremony, the subsequent mass was celebrated in Tridentine Rite. 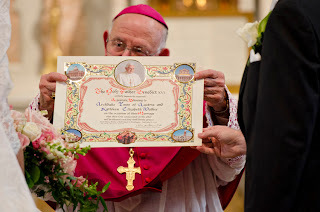 They were married in the St. Mary Mother of God Church in Washington D.C.'s Chinatown. 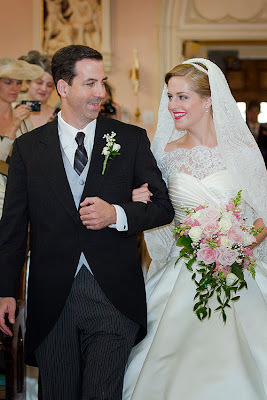 Kathleen wore a white Pronovias wedding gown with added long sleeves and a moderate train, which she finished off with upswept hair and an antique lace veil, which belongs to her husband's family. The Habsbourg veil was most recently worn by Imre's sister Archduchess Marie-Christine on her wedding day to Count Rodolphe de Limburg-Stirum. The veil was anchored by three strings of pearls. Imre's sister Archduchess Gabriella was among the bridesmaids, his brothers Archduke Christoph and Archduke Alexander as well as his cousin Prince Félix were his groomsmen alongside two friends. 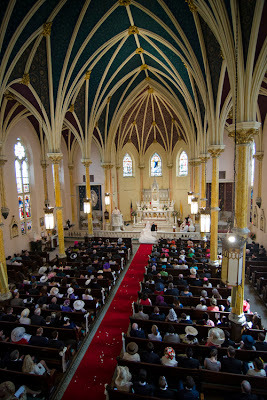 The wedding was attended by some 300 guests. Among them many members of Imre's family like his cousins Prince Félix, whose girlfriend Claire Lademacher was also a guest, Prince Louis, Princess Alexandra and Prince Sebastien of Luxembourg, his aunt Princess Margaretha and her children Princess Marie-Astrid and Prince Josef, his uncle Prince Guillaume, his wife Princess Sibilla and their youngest son Prince Jean, as well as the children of Imre's uncle Prince Jean, Princess Marie-Gabrielle, Prince Constantin, Prince Wenceslas and Prince Carl. Naturally, a lot of other Habsbourg's and other royals and nobles were also in attendance. 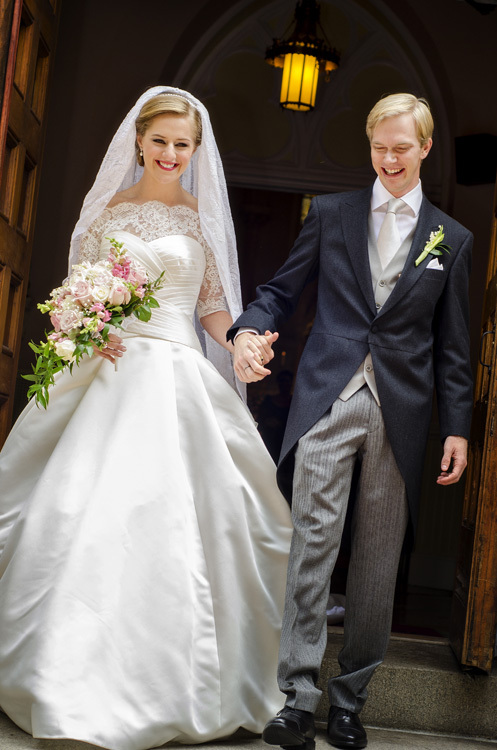 Archduke Imre and his wife met on October 21st, 2010 at the very same church they got married in last Saturday. 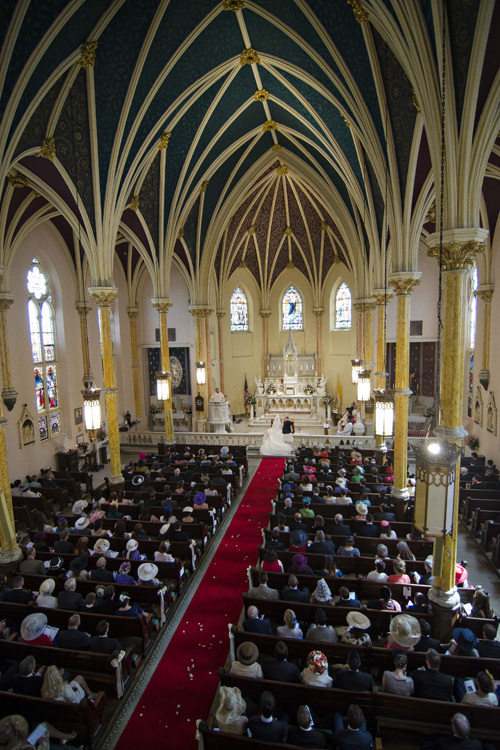 That day a Missa Cantata for Blessed Emperor Karl of Austria, the groom's great-grandfather, was held at the church in Washington D.C. A week before the wedding, a shrine at the church was dedicated to the last emperor of the Austro-Hungarian Empire. Archduke Imre was born in 1985 and grew up in Switzerland and Belgium. After having studied in St. Gallen (Switzerland) and Madrid (Spain), he recently earned his master's degree in European Studies from the College of Europe, Natolin Campus in Poland. A native of Cincinnati, Ohio, Archduchess Kathleen attended the Northern Kentucky University and received a bachelor's degree in journalism and political science. 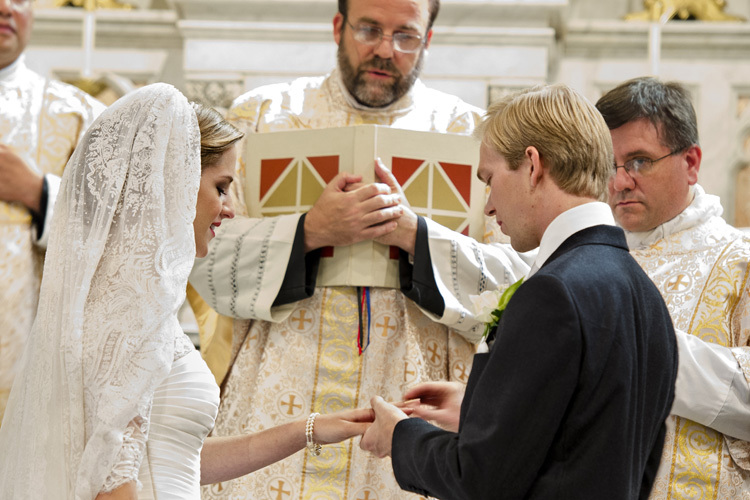 The oldest of seven children of Robert S. and Margaret M. Walker, Kathleen recently worked as Communications Director for Catholic Charities of the Diocese of Arlington. She is a pro-life activist (and let me add that even if one does not agree with her views, there is such a thing as freedom of speech and that everyone is entitled to their opinion and basic respect should be shown). 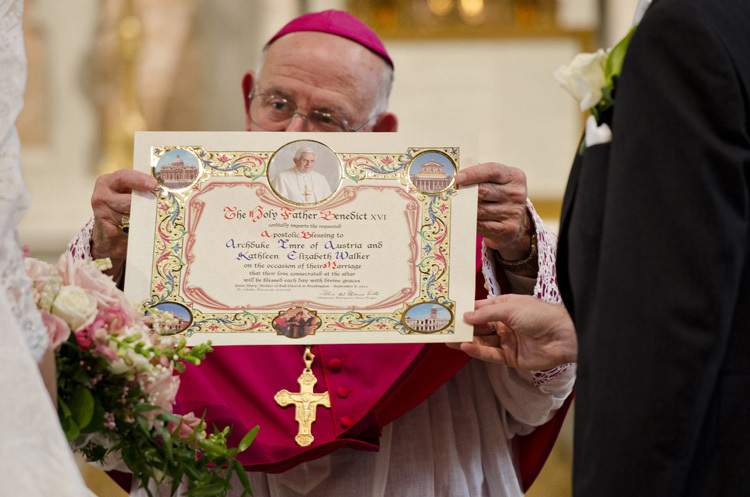 The couple, who will live in the Belgian capital Brussels after their honeymoon, was presented a letter from Pope Benedict XVI. on the occassion of their nuptials. Through the wedding, which was, not very surprisingly, approved by the head of the Habsbourg family, Archduke Karl, the former Miss Kathleen Elizabeth Walker is now officially styled as HI&RH Archduchess Kathleen Elizabeth of Austria. As Austria has abolished nobility, she would be legally known as Kathleen Elizabeth Habsburg-Lothringen there. Her new father-in-law Archduke Carl-Christian and his older brother Archduke Rudolf as well as their descendants were incorporated into the Belgian nobility with the title "Prince de Habsbourg-Lorraine" and the style of "Serene Highness" by the late King Baudouin of the Belgians. After the wedding a reception was held at the St. Regis Hotel. 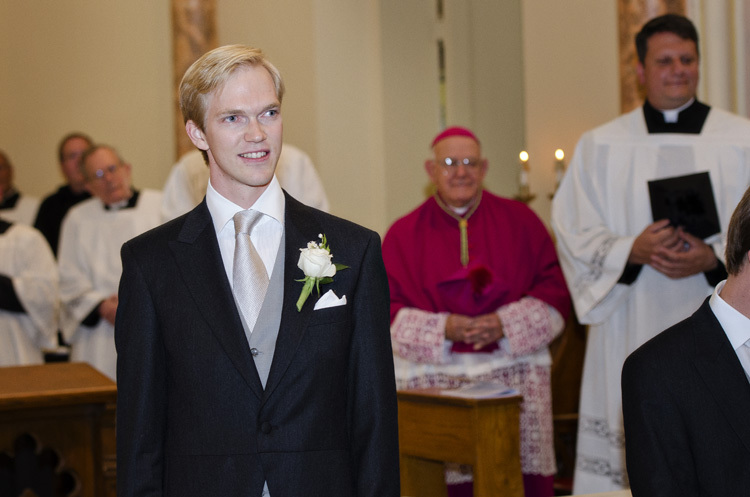 During his speech the groom's father Archduke Carl-Christian said, among other things, that it does not matter from what family you are from, as every family has their history and that the history of the one family is just better documented. All pictures are by Craig Spiering of Spiering Photography.